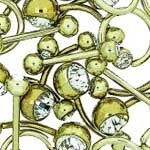 Bodyjewelleryinc.com, the new name for our online shop, if your browser says julesbodyjewellery, please click here to go to the new BODYJEWELLERYINC.COM shop, thanks. Belly bars with pretty jewels , silver and coloured titanium belly bars and belly bars with silver designs, as well as other body jewellery at bargain prices, with fast & Free UK delivery available. 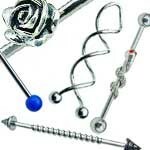 Our belly bars are all in stock now ready to be sent to you, we always have a huge range of belly bars to suit all tastes and prices, as well as lots of other body piercing jewellery.